Ajmar-Wollheim was commissioned to write this essay following her curation of a major exhibition on early modern material culture, ‘At Home in Renaissance Italy’ (V&A Museum, 2006–7). 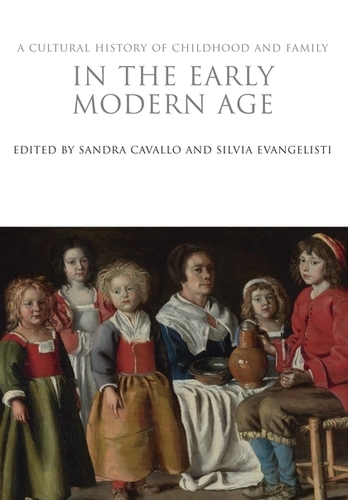 It appears in an ambitious, interdisciplinary six-volume series examining the cultural, social, economic, religious and political changes that have affected domestic life from antiquity to the present. Ajmar-Wollheim explores the ways in which the material environment contributed to the construction of childhood and family life in the early modern period in Europe and North America. It draws on a large body of sources, including 15th- and 16th-century conduct books, poems, family memoirs and inventories, family portraits and didactic prints, to discuss the emergence of a distinctive culture of domestic representation. The essay focuses on domestic spaces and objects, mostly within urban contexts; Ajmar-Wollheim argues that they contributed to momentous changes in domestic rituals and to the emergence of what scholar Catherine Richardson calls a ‘more mannered social existence’, relying on increasingly specialised objects and spaces. Focusing on paradigmatic domestic artefacts – such as the fireplace and the dining table – Ajmar-Wollheim charts the change from relatively socially undifferentiated objects to those of – and for – distinction. She also examines key items of ‘prescriptive’ material culture, designed to socialise the child physically and mentally from infancy to early adulthood and to articulate and enact gender distinctions – from high chairs to toy guns and miniature cauldrons. One of the difficulties of studying childhood is that historically it has only been interpreted by reference to adults. By concentrating on objects made by children – such as textiles manufactured by girls, from small-scale weaving to sewing and embroidery – Ajmar-Wollheim’s essay aims to bring children to the fore as historical actors. In this way, it contributes to a growing literature which seeks to bypass an exclusively adult-led understanding of childhood.